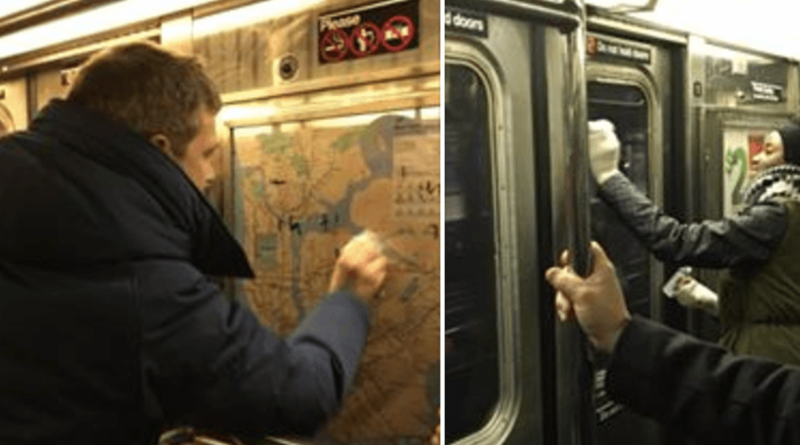 Gregory Lock was travelling on a subway car to Manhattan on Friday when his friends noticed racist graffiti covering the train. “The train was silent as everyone stared at each other, uncomfortable and unsure what to do,” Lock said in a Facebook post. Then one passenger got up and told the passengers to grab some hand sanitizer if they had any because it erases permanent marker. “I’ve never seen so many people simultaneously reach into their bags looking for tissues and Purell. Within two minutes, all the Nazi symbolism was gone,” wrote Lock. Zookeeper Amy Heath found the perfect teddy bear to act as a surrogate mom to London Zoo’s newest arrival- a baby anteater named Beanie. The baby anteater was rejected at birth but she now has a cuddly teddy bear to help her feel loved. One Colorado women got very lucky with her big lottery win. Yahnique S. quit her job last week but just days later she won the $3.3 million lottery jackpot. Yahnique has been playing the Lotto for 30 years but it seems that her big win came at the right time. According to Inside Edition, Yahnique plans on using some of the money to pay bills and make home improvements. What would you do if you came across a professional dancer filming a video? While a Toronto-based design company was filming recently, it appears as though a Durham Regional Police Officer came across their shoot. And what did he do? He joined in the fun. This otter had a lot of fun sliding on a frozen river in Yellow Stone National Park. The footage was caught on camera and watching this little guy will definitely make your day. Lainey Fredrickson sent the crowd cheering after she scored the final point at her high school basketball game. What made the moment extra-wonderful is that Fredrickson is a resident student with special needs at her Oklahoma high school. The coach called Fredrickson off the bench for the final shot and she managed to scored the last point. Mack, the black lab, is being hailed as a hero after his barking saved a neighbour suffering from a stroke. Mack started frantically barking in the backyard of his Iowa home. His owner, Dave Scott, brushed it off, but Mack’s barks started getting so loud that Scott sent his daughter to check what was wrong with their beloved pooch. Turns out that Mack was barking because the next-door neighbour, Marica Allen, was slumped over in the mud, experiencing a stroke. Scott ran out to check on Allen and discovered she was not well. Emergency crews were called and Marcia has recovered. It seems like all these rescue bunnies want to do is snuggle and we are totally fine with that because watching them will make your day a little better. Thousands of students, faculty, staff, and members of the public descended on to the Main Mall of the University of British Columbia campus on Monday for a massive campus-wide snowball fight. From the looks of it, this snowball fight was pretty epic.